The SCC soccer field is a possible location for on-campus dorms, according to the Board of Trustees which recently approved a feasibility study. 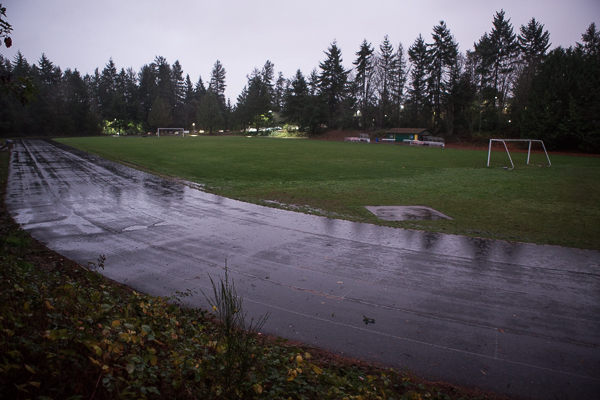 The field was largely unused by SCC’s soccer team until the beginning of this quarter, due to both poor grass conditions and an ongoing project that proposed using the field as a site for on-campus dorms. However, the athletics department brought the soccer team back to campus earlier this year after at least three years of playing on off-campus turf until a final decision is made about the fate of the field. According to Eskridge, the soccer field has always been a problem because the irrigation system is very limited on the field. It would take a complete renovation to either install a good irrigation system for the grass field or replace the grass with turf. These options were being explored some time ago, he said, but were sidelined when on-campus housing was first proposed several years ago. The proposal required the team to rent an off-campus field at Twin Ponds park. Eskridge also said he wished the college had other options for the dorms. He said the Soccer programs aren’t the only group that uses the soccer field – students, faculty and staff use it for exercising, along with other campus and non-campus community groups. “However, I understand that the college has to balance the needs of all students and there are many factors to consider for the long term health of the college,” he said. He also said he believed the dorm proposal could be a benefit for SCC athletics, as it could provide housing to some of the out-of-town SCC athletes on campus. Winston Lee, the recognized student government officer for SCC’s associated student government, had other plans. He ran for student government on the promise that problems in the largely unused field would be addressed. If the study shows the dorm project is not viable, Lee said he would very likely submit another proposal. According to Lee, the athletics department has rented a soccer field off-campus for the past three years for both soccer practices and games. These rentals were funded by student money from the Student Services and Activities Fee. Lee called this unsustainable, as it would require that the college pay for the rentals each year. He also said domestic students who live far from SCC’s campus would benefit from the convenience of on-campus dorms. As for international students, Lee said the dorms would address some worries the students and their parents have about coming to the United States, like transportation and apartment rentals. Lee hoped that whatever plans the school had for the soccer field would start in winter quarter. He said that if the school decided to build the dorm, he would give up his plan and fully support the school’s decision. In the meantime the soccer team will continue practicing on campus, unless there is a definitive decision from the college to build the dorms, at which point they would most likely move back to Twin Ponds park for practice. “We are satisfied (with the process of the proposal) as we will continue to use the field while the college has a feasibility study done.” Eskridge said.